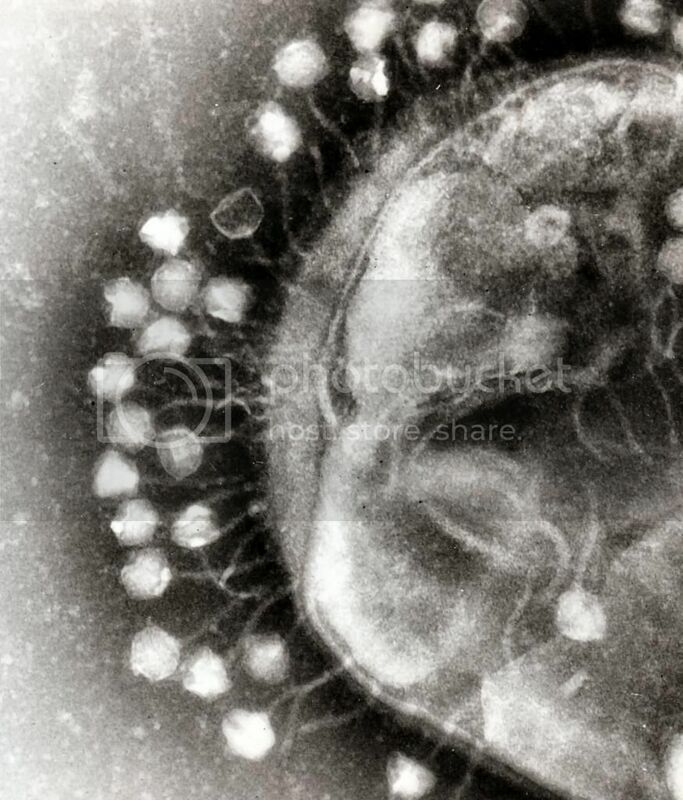 In our recent episode, Smiley Virus, microbiologist Paul Ebner described the bacteriophage virus, which attach to bacterial cells and infect them with their own DNA, as seen in the photo above. 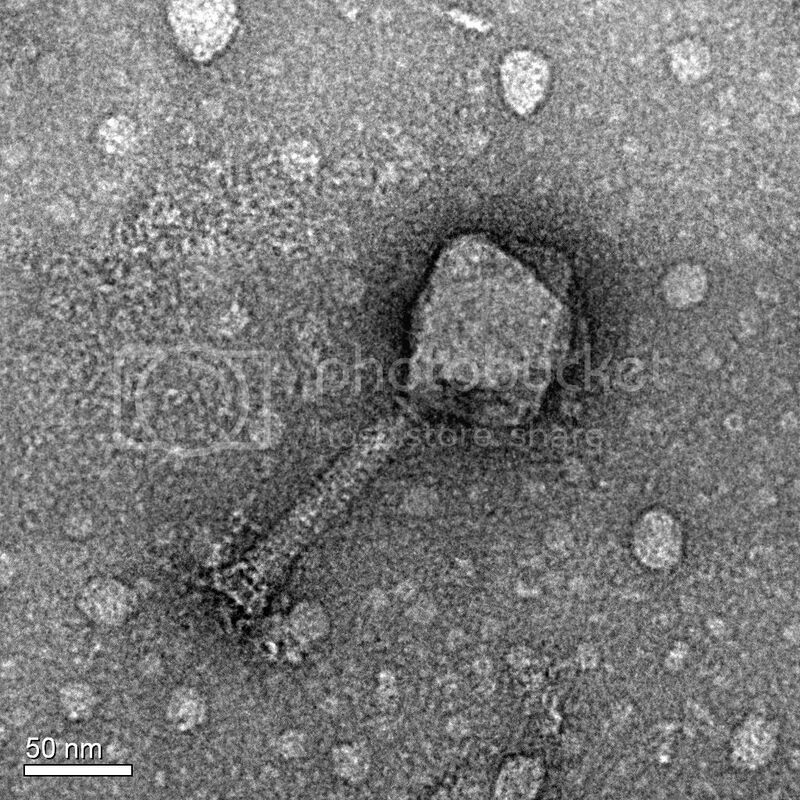 Below are transmission electron micrographs of bacteriophages used in phage therapy experiments in Ebner’s lab, taken by grad student Yingying Hong at Perdue University. 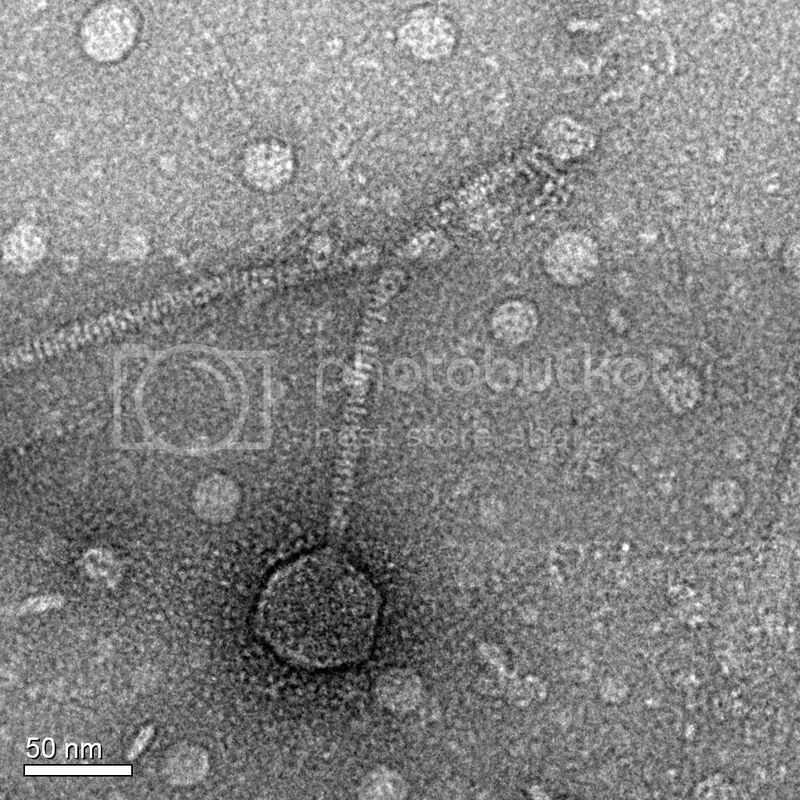 The first is myovirus (geometric head, short contractile tail) and the second is siphovirus (geometric head, long, non-contractile tails).